Matt was born and raised in the Red River Valley of North Dakota. He has a 20 plus year diverse background in Agriculture, which started with a BS degree in Agriculture from the University of Minnesota. Matt started out working in the grain industry for many large grain companies as well as local coop elevators. Matt has also spent 13 years Financing Agriculture both in the grain industry as well as producers across the United States. Matt and his wife Lonni have 7 children and 2 grandchildren. They spend most of their time with family and enjoying time outdoors. Kevin has been with the company since its formation in 2000 and has an extensive background in the grain elevator and feed business. The first 13 years of his career were spent working for Terminal Grain. He worked in operations at the Beardsley, South Dakota plant before being transferred to the elevator and feed mill in Parker, South Dakota. Kevin's next role took him to Monroe, South Dakota where he served as Assistant Manager for five years and then to Parker as the General Manager for two years. Cargill then purchased Terminal Grain and Kevin became their operations Manager for the next seven years. In 1999, he moved back to the Parkston, South Dakota where he grew up and supervised the structural building of Dakota Plains Ag Center. When construction was completed in 2000, he then became the Operations Manager of the facility. Denise grew up on a farm in Southeastern South Dakota. After graduating high school, she attended the University of South Dakota where she graduated with a BA degree in Accounting. That same year, she became a bookkeeper for Farmers Elevator in Tripp. Upon the formation of Dakota Plains Ag Center in 2000, Denise made the move to work in the accounting department. In 2007, she was promoted to Controller. In her free time, Denise enjoys camping (yes, with a tent! ), fishing and most of all, spending time with her family. Tyronne grew up on a farm west of Parkston, SD and graduated from South Dakota State University with a Degree in Ag Business in 1996. After graduation, he spent 8 years working for ADM in the grain industry, primarily in the Eastern Cornbelt. In 2004, Tyronne and his family wanted to move closer to home, so he accepted a position within the ethanol industry where he spent 9 years in grain procurement and commodity management, prior to joining Dakota Plains Ag Center in March of 2013. Tyronne and his wife, Emily, and two kids, Camden and Katie, live in Parker. In his spare time, he enjoys spending time with his family and golfing. Lyle joined Dakota Plains Ag Center in September of 2015, and offers an extensive background in the grain elevator and feed business. 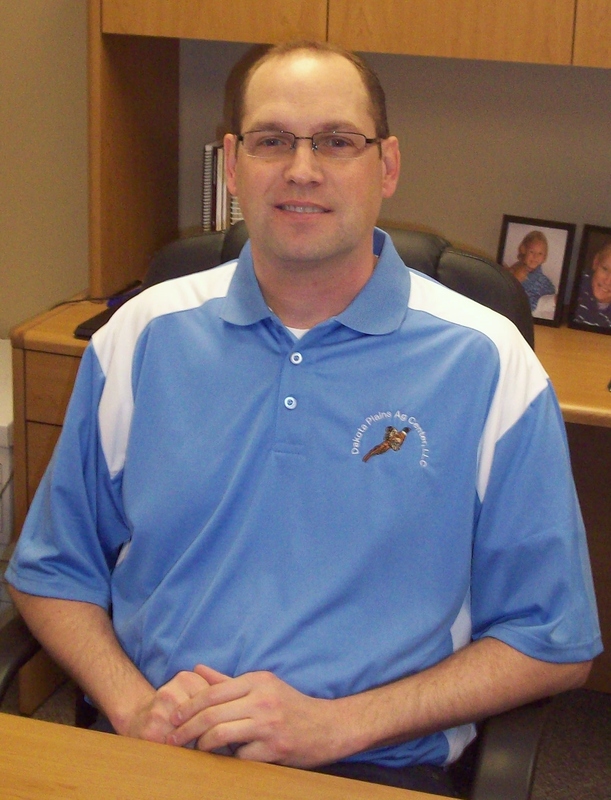 He has spent more than 20 years serving customers in and around southeast South Dakota and northeast Nebraska. During that time, Lyle served in management and owner operations in Tabor, South Dakota. Lyle was raised on a farm in northeastern Nebraska and grew up in the Yankton area. Throughout the years, he has built a strong appreciation and understanding of farm production in the area. Lyle feels very blessed and fortunate for the opportunity to be a part of the team at Dakota Plains in bringing and operating the Napa Junction Facility to the Yankton area. Lyle and his wife, Michelle, live in Yankton and have seven children and ten grandchildren. He enjoys watching his youngest daughter, Paige, perform in her dance recitals and ballet competitions, and enjoys attending his grandchildren's various activities. Lyle also keeps busy camping, traveling, spending time with family, and cheering on the VIKINGS and HUSKERS.